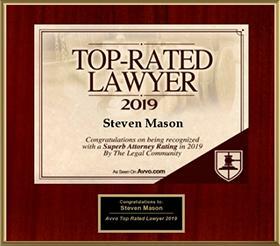 Broward Lawyers Care congratulates Steven A. Mason, Esq. as the January 2015 Attorney of the Month! 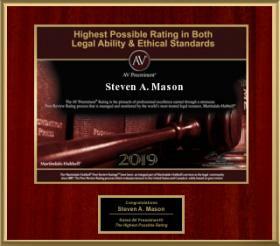 Mr. Mason obtained his undergraduate degree from The Johns Hopkins University with Honors, and his Juris Doctor degree from Villanova University School of Law, and has his own law firm, the Law Offices of Steven A. Mason in Hollywood. He practices in a wide variety of areas, with a concentration on family law and military divorces, and has taken pro bono cases from Legal Aid since 1999. In 2014, Mr. Mason generously took on two highly unique pro bono cases dealing with an obscure area of law. In the 1960s, some Condominium Associations in Florida charged their residents monthly rent payments for use of the Associations’ recreational facilities through a “recreational lease,” some of which had a lease term of 99 years. Florida outlawed this practice in the 1970s, but the legislature could not cancel the existing contracts. In 2014, one recreation lease owner made a practice of suing residents for unpaid rent payments and threatened to foreclose their homes to collect the rent. The first Client Mr. Mason helped was a disabled senior citizen who has resided in a paid-off condominium since 1983, but was being foreclosed on for the unpaid “rec lease” rent, plus the accelerated balance of all monthly payments that would be due on the 99-year lease through 2068.Without Mr. Mason’s help, the Client would have lost his home right away. Mr. Mason helped the Client raise several affirmative defenses, and then helped the Client obtain a new attorney by locating title insurance coverage from 1983. Mr. Mason found the coverage by calling the law firm that handled the closing in 1983, discovering which title insurance company the firm had used, and calling that company. The company found a policy on microfiche, but it was mostly illegible. Nevertheless, they agreed to hire counsel and defend the case. Mr. Mason helped the new attorney to litigate, and his efforts have helped the Client to stay in his home while the case is pending. The second Clientthat Mr. Mason helped was a single father of two young daughters. This Client has limited knowledge of English andhad been residing in a paid-off condo since 2011. He had no knowledge of the rec lease, and was also sued for foreclosure for unpaid rent plus all accelerated rent through 2068. Mr. Mason sued the plaintiff’s attorneys in federal court for violating the Fair Debt Collection Practices Act, and helped the Client negotiate a fair settlement and recover damages for the Association’s debt collection practices. These individuals have benefitted from Mr. Mason’s willingness to use his skills to improve the lives of others. Broward Lawyers Care is fortunate to have attorneys like Mr. Mason, who are willing to dedicate their time and efforts to help members of our community who cannot afford private legal assistance. 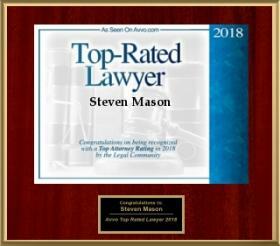 Thank you, Steven A. Mason, for your devotion to Justice for All! Because of your contributions, we have helped numerous clients who otherwise might not have received legal assistance. To get involved with BLC and to take a pro bono case, visit www.legalaid.org/broward/broward-pro-bono-project.